You are asked to remember in prayer Kevin Marrinan, Emlagh, Moyasta, father of Albert (Cranny) and Carmel Clancy (Kildysart), who died St Stephen’s Day, 2014. May the Lord grant him eternal rest and comfort all who mourn him. You are asked to remember in prayer Sister Margaret Galvin of the Sisters of Christ, Sittingbourne, England and Derryshane. Sr Margaret’s funeral has taken place in England. You are asked to remember in prayer Lisa Attewell, Carrowreagh who died on 11 December. Her funeral Mass will be celebrated at 11 o’clock on Saturday in St Mary’s Church, Cranny with burial to take place in Wales. We pray that the Lord may grant her eternal rest and console Steve and Keisha, Alannah and Tia. You are asked to remember in prayer Michael Callinan, Birnfadda, Cranny who died on 18 November, 2014 suddenly at his residence. Michael will repose at St Mary’s Church, Cranny on Thursday evening from 5pm with prayer at 7pm. The funeral Mass will be celebrated on Friday at 11am followed by burial in Kilmurray-McMahon cemetery. We pray that the Lord may grant Michael eternal rest and console Ann and all who mourn him. Michael’s months mind Mass will be celebrated in St Mary’s Church, Cranny on Saturday 20 December at 7pm. You are asked to remember in prayer Mary O’Connor who died recently in Washington DC, USA . May the Lord grant her eternal rest and comfort all who mourn him. Pray for the happy repose of John Joe Walsh late of Shessive and Aldershoott, England who died in England. May the Lord grant John Joe eternal rest and console all who mourn him. Please remember in your prayer Ambrose O’Dea, Crahera who died on 20 August, 2014. His remains will repose at his residence on Friday, 22 August from 3pm until 8pm. Removal on Saturday morning to St Mary’s Church Cranny for 11 o’clock Mass. Ambrose’s months mind Mass will be celebrated in St Mary’s Church Cranny on Saturday 20 September at 8pm. Please remember in prayer Margaret Brooke (nee Sexton) late of Birrinfadda who died in England on 17 May, 2014. Mass in her memory will be offered in St Mary’s Church, Cranny on Thursday, 19 June at 8pm. May she rest in peace. Please pray for Bridget Hehir, Boloughera who died on Thursday 22 May, 2014. Her remains will repose in O’Halloran’s Funeral Home, Kilmihil on Friday evening from 6pm to 8pm followed by removal to St Mary’s Church, Cranny. Bridget’s funeral Mass will be celebrated on Saturday 11am followed by burial in Cranny cemetery. We pray that the Lord may take Bridget to himself and console Chris, Michael and Peggy and all who mourn her. Bridget’s month’s mind Mass will be celebrated in St Mary’s Church, Cranny on Saturday 21 June at 8pm. Please pray for Mary Kenny, Coolin who died on Good Friday 18 April, 2014. Her remains will repose in St Benedict’s Church, Coolmeen on Sunday evening from 6pm to 9pm. Mary’s funeral Mass will be celebrated on Monday at 11am followed by burial in Kilfidane cemetery. We pray that the Lord may take Mary to himself and console Theresa her sister and all who mourn her. Mary’s months mind Mass will be celebrated in St Benedict’s Church, Coolmeen on Sunday 25 May at 9.45am. You are asked to remember in your prayer Mrs Mary Corry (nee Grace), Coolin who died on Thursday 10 April 2014. Her remains will repose in St Benedict’s Church, Coolmeen on Friday evening from 5pm to 8pm. The funeral Mass will be celebrated on Saturday at 12noon followed by burial in Kilfidane cemetery. We pray that the Lord may take Mary to himself and console Senan, Mary and Kathleen and all who mourn her. Mary’s month’s mind Mass will be celebrated in St Benedict’s Church, Coolmeen on Sunday 11 May at 9.45am. You are asked to remember in your prayer Johnny O’Donoghue, Birrinfadda who died on Sunday, 6 April 2014. Johnny will repose at O’Donoghue’s funeral home, Kildysart on Monday evening from 6pm to 8pm followed by removal to St Mary’s Church, Cranny. His funeral Mass will be celebrated on Tuesday at 11am following by burial in Kildysart cemetery. May the Lord grant him eternal rest and console his son John and all who mourn him. You are asked to remember in prayer George Faher, father of Jai who died in Denver, Unites States of America. May the Lord grant him eternal rest and console Jai and all who mourn him. 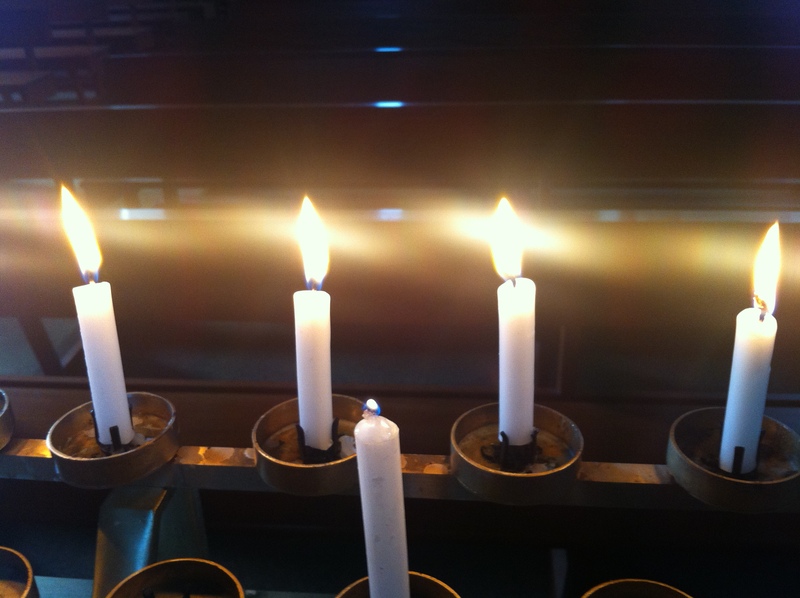 You are asked to remember in your prayer Mary Johnson (nee Finucane) formerly of Effernan who died in Oxford, England. We offer our sympathy to Mary’s sister, Margaret Meaney, Newbridge. A month’s mind Mass will be offered for Mary in St Benedict’s Church, Coolmeen at 9.45am on Sunday 23 March 2014. You are asked to remember in prayer Catherine (Kitty) Mann, Erribul who died on Sunday, 9 February 2014. Kitty will repose at St Benedict’s Church, Coolmeen on Monday evening from 5pm until 7pm. Her funeral Mass will be celebrated on Tuesday at 11 o’clock followed by interment in Kilfidane Cemetery. JJ’s month’s mind Mass will be celebrated in St Mary’s Church, Cranny on Saturday 15 March at 6.45pm. Posted on December 12, 2014, in Uncategorized. Bookmark the permalink. Comments Off on Rest in Peace 2014.